The brand Norrsken Jackets was Inspired by the Norrsken’s sparkling energy and hard-describing beautiful light. We got the inspiration from both the beautiful northern lights, the simple Scandinavian design expression and all our women around us. But what is Norrsken then? 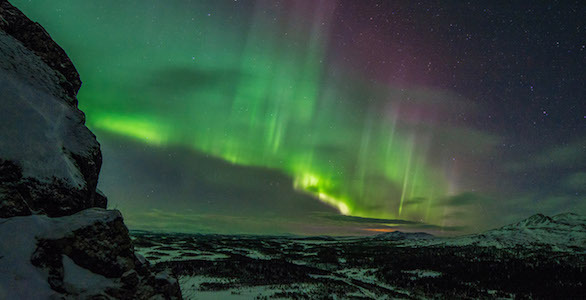 The northern light, also called the polar light, is a light phenomenon that occurs when charged particles accelerated to high energies in the earth’s magnetosphere crash into the atmosphere. Such acceleration occurs only in certain areas of the magnetosphere, which causes the polar light to occur mainly in annular areas around the earth’s two magnetic poles. The northern lights are created when the particles reach the atmosphere at high altitudes and collide with molecules and atoms. This gives a high energy and when the collision occurs, molecules and atoms are ionized. When they return to their normal state, it gives the extra energy in the form of light in different colors. We think that is magical and beautiful.